This is a very simple pasta dinner that you can put on the table in 30 minutes. 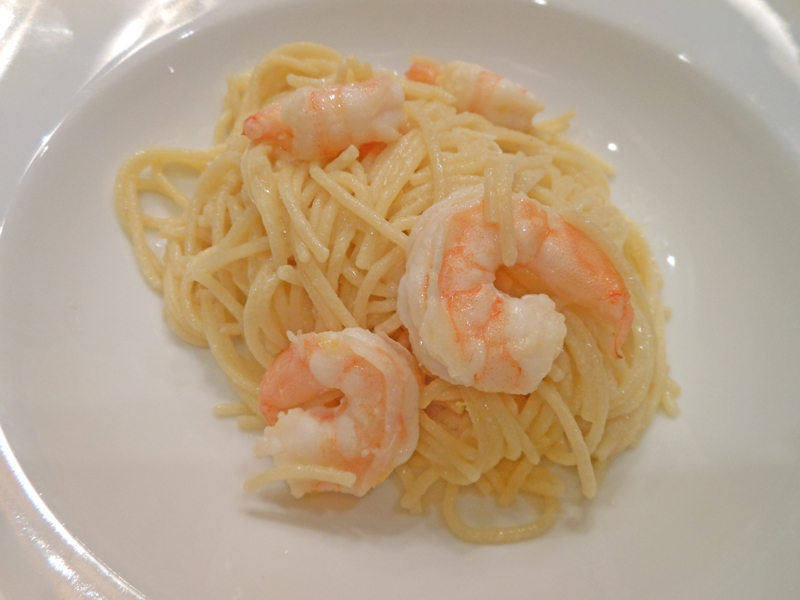 Creamy, lemony sauce over hot pasta with either shrimp or bay scallops. Yum!! Be sure to use a high-quality extra-virgin olive oil and freshly squeezed lemon juice. Whisk olive oil, lemon zest and juice, garlic, and 1/2 teaspoon salt together in bowl, then stir in Parmesan until thick and creamy. Pat shrimp dry with paper towels and season with salt and pepper. Melt 2 tablespoons butter in 12-inch nonstick skillet over medium heat. Add shrimp in single layer and cook until shrimp are curled and pink on both sides, about 2 minutes (3 minutes for bay scallops); transfer to separate bowl and cover. Meanwhile, bring 4 qts. water to boil in large pot. Add pasta and 1 tablespoon salt and cook, stirring often, until al dente. Reserve 1/2 cup cooking water, then drain pasta and return it to pot. Add olive oil mixture, shrimp (or scallops) and any accumulated juices, remaining 2 tablespoons butter, and basil and toss to combine. Season with salt and pepper to taste and add reserved cooking water as needed to adjust consistency. Serve.